Professional CV Writing Service for candidates looking for jobs on cruise ships. Our experienced CV writers will write a professional CV tailored around your qualifications, work experiences and career aspirations. They are not just any CV writers - they specialize in writing CVs specifically for individuals seeking a job in the cruise sector. What can a professional CV Writer do for you? Most positions advertised on All Cruise Jobs attract many applications. In fact, recruiters receive hundreds of CVs every day and only the best candidates are invited to interviews. That is why your CV needs to stand out from all the rest, in order to grab the recruiter's attention. A professional CV Writer will assess your qualifications and employment history and present it in an easy to read format. Your achievements and personal qualities relevant to working on cruise ships, will be highlighted so that employers can see the value you can add to their business and assess your suitability for a cruise ship job. Working on cruise ships requires a specific set of skills and qualities. You must be able to: cope with living away from your family and friends; share confined living areas with strangers; work well in teams; multi-task; often communicate in a foreign language, etc. A professional CV Writer who specializes in the creation of CVs for cruise candidates, can help you to put together a well presented CV that highlights all your strengths as well as your suitability for a job on a cruise ship. Applying with your new CV will increase your chances of getting hired. 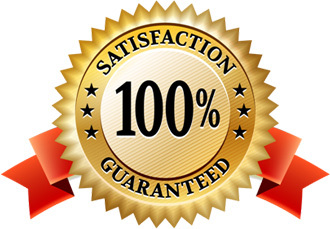 If you are not 100% satisfied, contact us and we will make changes to your CV until you are completely happy. Your new CV written within 3 days. Express service with next working day delivery available. FREE unlimited revisions for 30 days until you are 100% satisfied with your new CV. Is neither too long, nor too short. Your CV is your advertisement. It must sell you to recruiters. Does your current CV do it well? "Thank you so much, the documents are amazing!" "Wow, I am very impressed with my new CV. Thank you for all your help." "Thank you Jenna for an amazing job on my resume! I was able to do a bit of editing with the trajectory of information you laid down for me." "Thank you very much. I am very happy with my new CV and cover letter. It is fantastic. Many thanks All Cruise Jobs, very professional people." "Thank you for the CV and Cover Letter, I love them both." "You've done a great job, thank you." "Many thanks for your great job and quick response!" "I love the service from you guys. Thank you so much." "I am writing to inform you about how disappointed I am with the cv that you wrote for me. So much so, that I have not used any of it. It was a waste of my time and money." Hi Hannah, I am really sorry that you aren't happy with your new CV. We have issued a full refund. "Just read what you sent, very pleased, thanks very much. Will be in touch if I need your services further." "Thank you very much for the wonderful CV. There is no need for changes thank you once more."